mera manna hai ki Bharat vibhajan ke liye jinna zeena sab se adhik zimedar the. जिनाह् कॊ लॆकर् विवाद् अपनॆ आप मॆ ऎक विचित्र बात है वॊ भी आज़ाद भारत मॆ. क्या और समस्या नही है हमारॆ पास जिस पर बहस और सार्थक विचार हॊ.ज़िनाह,पाकिस्तान आज़ादी सॆ हमारॆ पीछॆ ऎक भूत की तरह लगॆ हुऎ है. समझदार व्यक्ति भविश्य की तरफ दॆखता है, ना की भूतकाल मॆ. यॆ राजनिती कॆ स्वार्थी लॊग है जॊ इन बातॊ कॊ अपनॆ मक्सद की पूर्ति कॆ लियॆ आम जनता मॆ लातॆ है.तब जब मज़हबी दन्गॊ का ज़ख्म भी ना भरा हॊ.हमॆ क्या मिला, हम पहलॆ उसॆ तॊ स्म्भाल लॆ.अभी सिर्फ इसी बात की आवश्य्कता है हमारॆ दॆश कॊ. नॆहरु ज़िन्नाह की नही आज़ कॆ नॆताऒ पर खुलकर बहस हॊनी चहिऎ. Yes, Mr. Sanjay, Now this should be stopped. I Thought, there is no scarcity regardibng political issue in Our Indian News World. But Yiou have continued the JINNAH on Your WEB Cover.Please change it towards new issue over the pakistan characterstics against India, preserved duering last 62 Years. This is an advice to reform your News presentation pursuit on this Web, from a big brotgher have been devoted to develope Indian Nationalism over the Glob. Many many thank to Mr. Shaheed Raheem for giving this secret mission behind the book and his request to stop the discussion on the book because the continuous discussion will serve as the desired by so called heir of Mr. Jinnah. It is enough, that we indian have leanly discussed about Jinnah.It should be clear to our new generation that Jinnah could not be relevent for we Indians. Jinnah was a splitter.Mr. Jaswant Singh declared that Many of the Senior Indian leader like RAJ GOPALACHARI has underlined him as Bridge leader between Hindu and Muslim. But it was an incident, before the conceptualisation of Pakistan. Pakistan first conceptualised by Great Urdu Poet Dr. Allama Equbal, the creater of SARE JAHAN SE ACHCHHA HINDUSTAN HAMARA. it is on the Record that PAKISTAN proposal has been prepared on the basis of a lecture deleverd by DR. Equbal in Allahabad in 1925. But Indians are widely appreciating Dr. Equbal, due to his thoughts preserved in his life time poetry Collections Zarb-e-Kaleem, Bang-e-Dara, Bal-e-Gibreel and other. Now a question arise that why Mr.Jaswant Singh has wriiten this controversial book favouiring jinnah? it was an Investigation that Grand son of Mr. Jinnah, Nusli Wadia is residing in Mubai. he turned into another relegion than islam and always claiming to achieve benefits from the legacy of Jinnah. 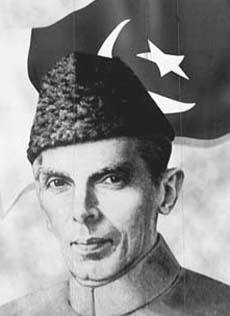 A Bunglow JINNAH HOUSE is also situated in Mumbai, in Indian Custodian. When Nusli Wadia claimes to Occupy the bunglow, Indian Governement objected, that this bunglow could be made as JINNAH MEMORIAL, because JINNAH was resposible to divide India and biggest of Massacare-1947 in south Asia. Then the project to occupy JINNAH HOUSE in the name of to make it JINNAH MEMORIAL is under suspension. After ome time Nusli Wadia started Searching an Indian writer to Underlined Jinnah as Historical Hero, But many of the professional writers have ignored the project. Then Nusli Wadia contacted to Mr. Jaswant Singh.He writes the book favouring Jinnah, to clear the breakage in Making JINNAH MEMORIAL. News Report said that Nusli Wadia has paid about Rs.2.50 Crores (Rupees Two and Half Crore)excluding the expences in Reasearch and oublication. Now Nusli wadia is in Position to Occupy NINNAH HOUSE. That Bunglow has its own Cost about 200 Crore.He wants to make an multistory building on thae land after demolition of the bunglow, and JINNAH MEMORIAL will be established on any One floor out of 30 stories. So it is a matter to earn more than money. Sources said that Nusli Wadia also commited to gift one floor in the name of any family member of mr. Jaswant Singh.The Publisher is also commited the same to Open his new office in same Jinnah House. So, it has been clear that discussion on Jinnah is a baseless support for the people, and all these negative and positive activities will have to beneficitae Nusli wadia to occupy JINNAH HIOUSE IN Mumbai. Hence, It should be end Now. हिन्दुस्तान के विभाजन का ज़िम्मेदार कौन था????? ये एक बहुत बडा सवाल है…मैं आपकी बात से सहमत हूं की जो जिस नज़र से देखेगा उसको वो ही दिखेगा…हमारे देश के इतिहास जितने भी महान लोग हुये है वो सब एक इंसान थे जिनके अन्दर कुछ गुण थे और कुछ अवगुण थे….तो अगर आप गुण ढुढेंगे तो गुण मिलेंगे और अवगुण ढुढेंगे तो अवगुण मिलेगें…. एक विस्तृत चर्चा की आवश्यकता है की अंग्रेजो की कठपुतली कौन कौन थे . जिन्ना ,गाँधी ,नेहरू आदि आदि . In 1945 British army was badly defeated at Imphal by Netaji Subash Chandra Bose, with the help of Nagas and handful of POWs. This defeat panicked British government and the British men (sirs) residing in India. They started selling their properties and left India in a hurry. In such a panicky situation British intelligence also reported that the Indian army was not loyal to them any more. The Second World War proved very costly for the British, they were virtually bankrupt and it’s more than half of the population was also already lost at war. British used its diplomacy & promised the Naga Chief that they will grant him full freedom to Nagaland but the only provision what that Nagas should not support Netaji rather support British instead. Nehru-Gandhi also jumped in the band-wagon to show their loyalty in support of the British government publicly. Gandhi-Nehru feared Netaji; if Netaji would be victorious their future will be ruined as no one will care for them. Nehru publicly said that Japanese were coming to enslave Indians for another two hundred years that’s why we must support British government and he further said even if it is Subash he will take a gun and fight against him in the battle field. This type of anti Netaji Subash Chandra Bose statements by Nehru proved to the British their loyalty. So in the eyes of the British Nehru was a worthy candidate to be their loyal subject. When Indian Congress signed the accord with the British that granted “swaraj” it is clearly stated that Netaji is a traitor and he will be handed over to the British where ever and when ever he be arrested. Gandhi had also said that he does not want freedom at the cost of even one drop of British blood but he never uttered a word against millions of mass genocide in British India? Gandhi-Nehru loyalty towards the British earned them the crown of India with which Nehru dynasty is still ruling India. The famous British Prime Ministers Sir Winston Churchill had said if there would have been three-four more Gandhi’s were born in India British could have ruled India for few more centuries. The then British PM Clement Attlee had accepted that Indian Army was not loyal to the British due to Subash Chandra Bose and that was the reason for them to leave India. (FYI There were only three hundred British controaling the entire Indian peninsula) Mr. Writer please tells us what the real history of Indian freedom is! If you wish to uncover the true history of Indian freedom then I suggest you start with the accord signed between Indian Congress and the British in 1947. मै निश्चित् रुप् सॆ नॆहरु जी कॊ विभाजन् कॆ लियॆ जिम्मॆवार् मानता हू उन्हॆ अपनी ताजपॊशी की जल्दी जॊ थी.